We decided to take it easy today and wake up later than usual since the shopping malls only open at 10am. We drove for about 30 minutes to Direct Factory Outlets (DFO) (Google Maps search term: "3-5 Underwood Road, Homebush"), which I've heard is very good for cheap shopping. Parking was FREE and we managed to find a nice parking lot near the entrance on the 2nd floor. 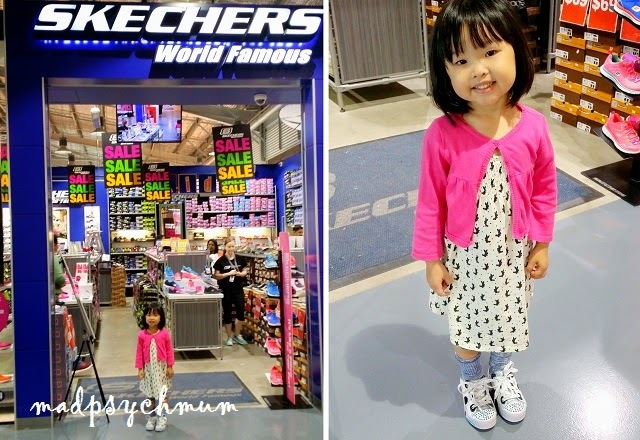 Of course the first thing I did was to head straight to the kids stores to shop for clothes and shoes for my kids! 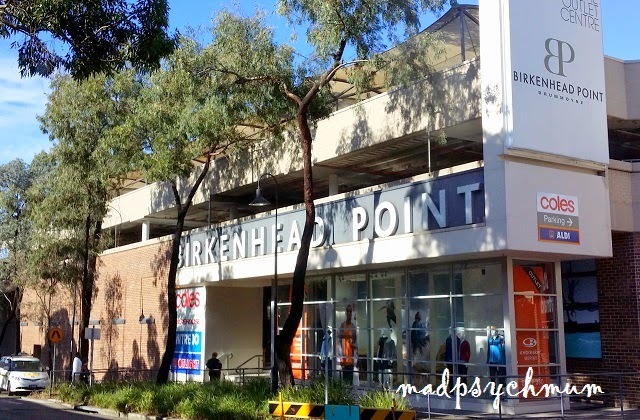 All of us managed to buy something nice so we thought, why not shop some more at Birkenhead Point Outlet Centre (Google Maps search term: "319 Roseby Street, Drummoyne"). 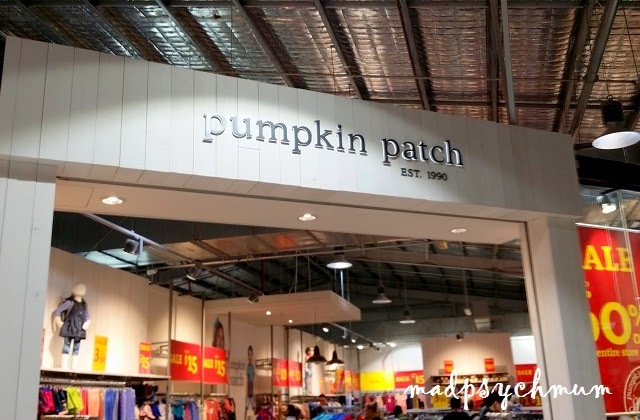 Unfortunately we all preferred shopping at the DFO to Birkenhead Point so we didn't buy much. We would advise that if you only had time for one mall, you should go to the DFO. 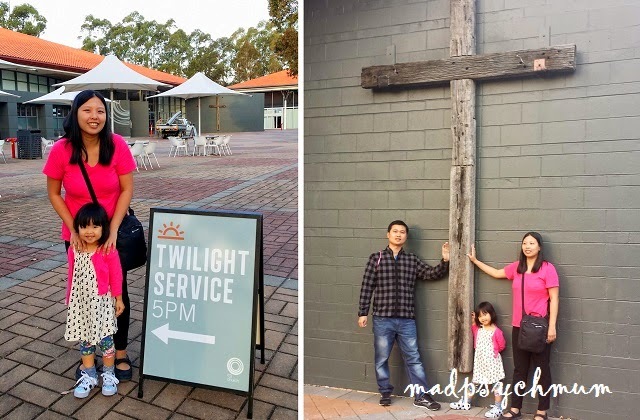 We were supposed to head to Palm Beach next but as it was already 3.30pm, we decided to drive straight to C3 Church Oxford Falls instead. On hindsight, I would much rather go to Palm Beach for their famous Fish & Chips then shop at Birkenhead. Super wrong decision! But well, at least now we know. 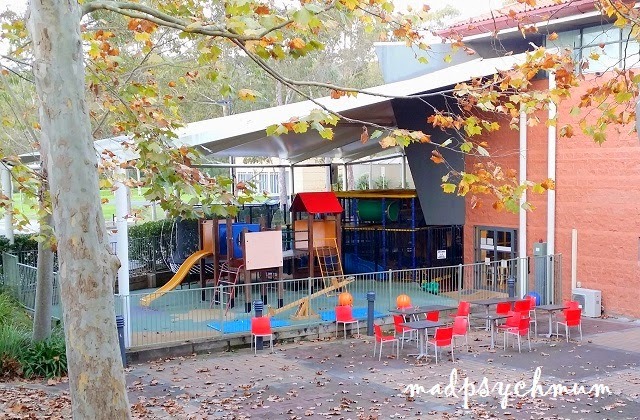 My girl refused to attend Children's Church even though I showed her the beautiful playground that they had. Instead she joined us at the service, where the friendly and helpful usher gave her some colouring pencils and paper to keep her occupied. We were crossing our fingers and hoping that Pastor Phil Pringle (my favourite pastor in case you didn't already guess =P) will be preaching that day but alas, he was preaching somewhere else in the world. Alas it was not meant to be and a visiting pastor from Texas was sharing the Word of God instead. 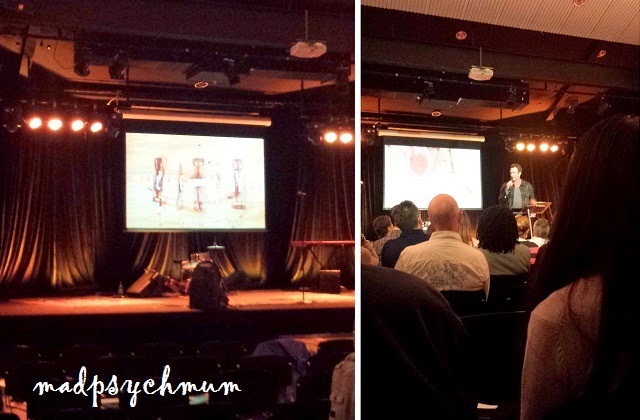 Don't get me wrong, he did an awesome job of sharing the Word (we were really blessed by it). 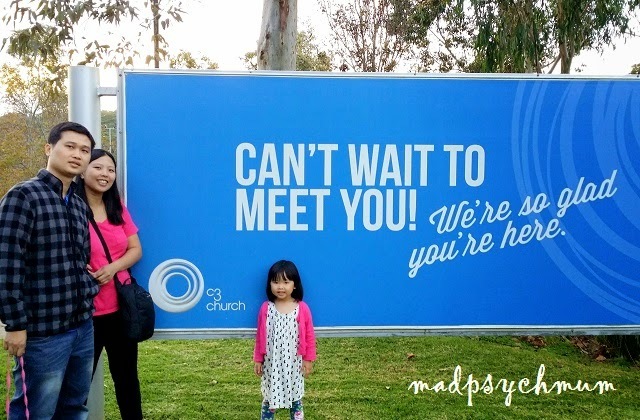 It's just we were disappointed that it ain't my favourite pastor and we couldn't get a picture with him (*bummer*). 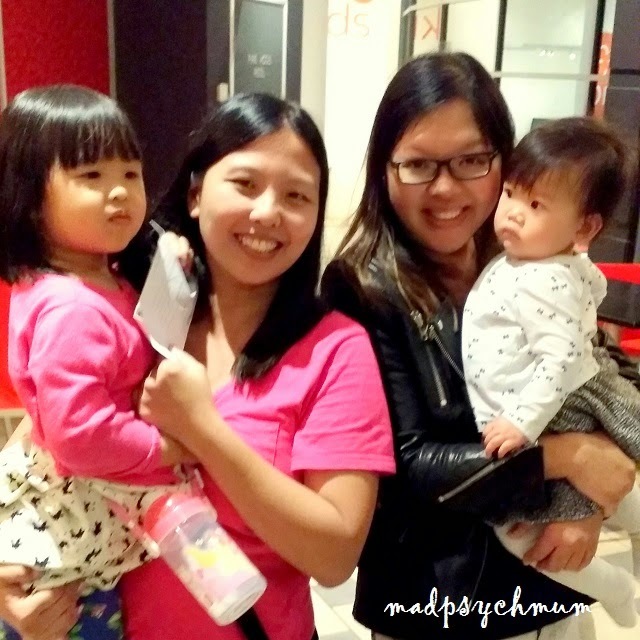 We did meet up with fellow churchmate and mum blogger, Sandra and her family who were currently based in Sydney. 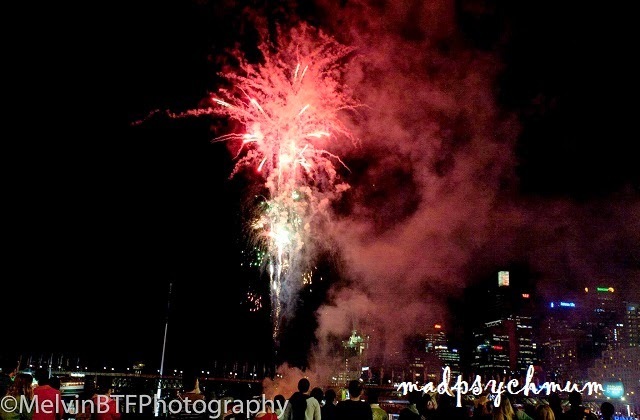 After service, we drove back to Darling Harbour to enjoy the Harbourside Fireworks which happens every Saturday at 8.30pm. We parked at Darling Quarter, the same carpark that we did the day before. We sat at some the steps together with the rest of the locals and tourists alike, as we waited patiently for the fireworks to start. When it finally did, we were all treated to a beautiful display of lights and popping explosion which lasted about 10 minutes. When the fireworks ended, we proceeded to Hurricane's Grill (came highly recommended by San) for dinner but were told that the wait was 2 hours long! 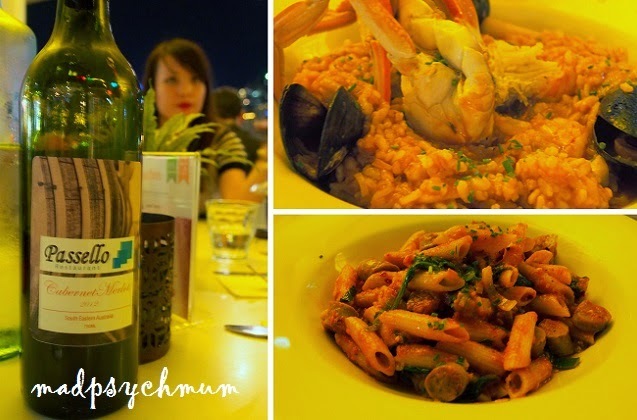 Not wanting to wait, we decided to eat at Passello along the harbour instead. As the restaurant was crowded, it took a while before the food arrived at our table. 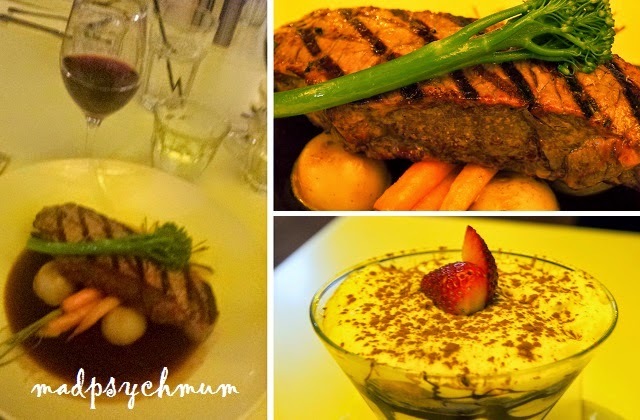 We were so famished, we were more than ready to dig in! 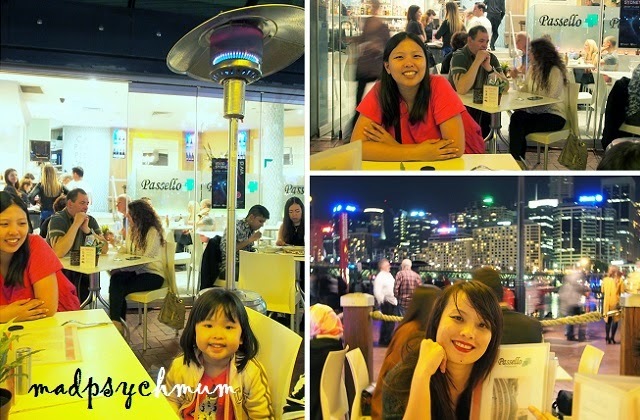 We had an awesome last dinner in Sydney (for once the brother didn't have to cook!). Still can't believe that we'll be going home the next day! Time truly flies when you're having fun!